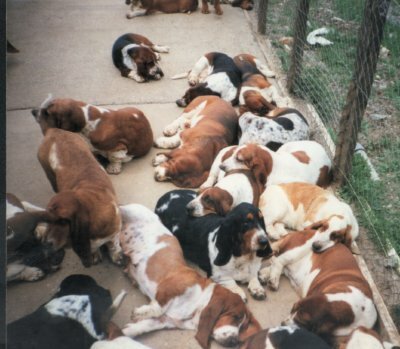 The Basset Hound can adapt to any lifestyle, like a chameleon. He can be a great hunter, transform himself in a wonderful nanny for the kids or be homebound snoring by the chimney. He is a very soft, gentle dog, never aggressive, sweet and funny, a real clown. He loves children and shows them real tenderness and affection. He is very sensitive and loves to cohabit with other animals, big or small. 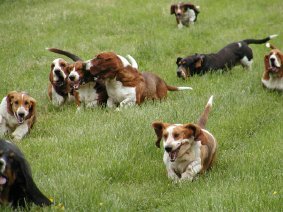 Don't take a Basset Hound if you're going to leave him alone at the back of the yard. He is happy with other dogs or with you at home where he'll be proud to participate in the family's daily activities. The more he can be involved in your daily life, the happier he will be. His hound instinct makes him hate solitude. 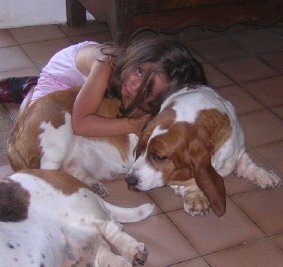 Don't take a Basset Hound if you must leave him alone to go to work. If your job allows it, take him with you, he will be very happy to come with you. If you have other pets at home that will help your dog feel less lonely. 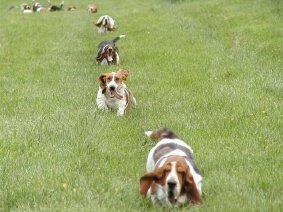 A little stubborn (but that's part of his charm), your dog shouldn't boss you around, it's quite simple to have a very obedient Basset Hound.